No iron, no nails! For sporty and ambitious leisure riders, who like to have fun and enjoy riding over all types of terrain. 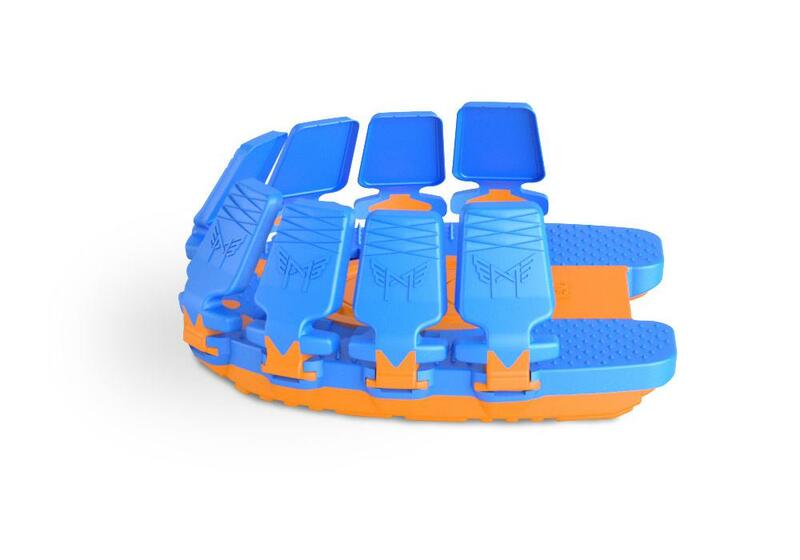 Your are free from worrying about your hoof protection. Megasus Run’n’Fun are flexible and allow all natural hoof movements. 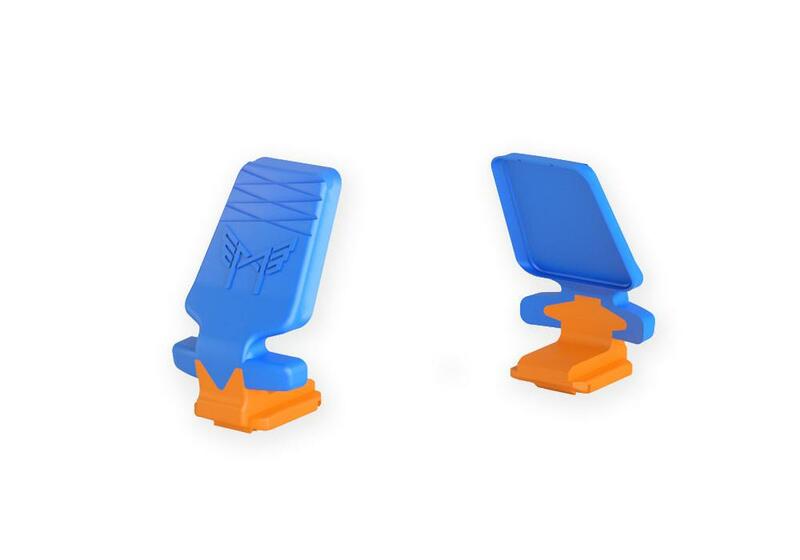 They protect your horse’s hooves and protect the joints from shock. 2-C glue in just minutes. Thanks to our specially developed Side-Clips, you can glue quickly, precisely, and with about 50% less glue than conventional adhesive products. A unique adhesive system. 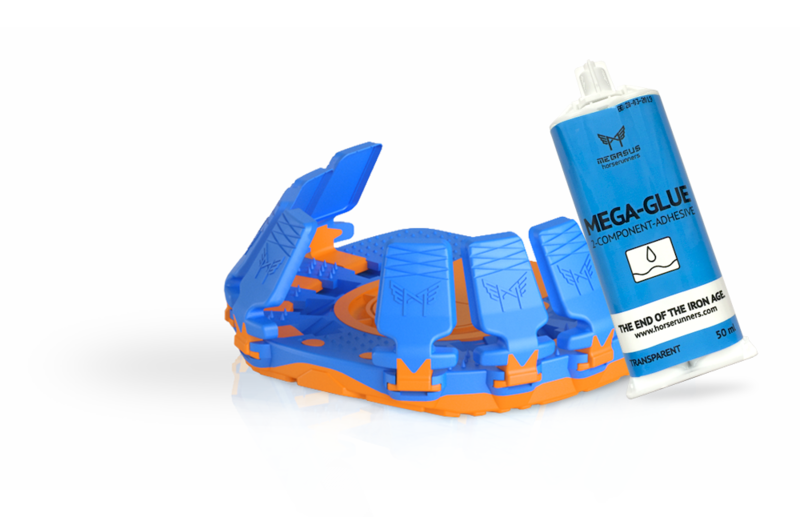 With the Megasus Run’n’Fun you can glue directly on the hoof wall and only there: The soles remain glue free. The germs are probably unhappy: They're not able to get comfortable. One or the other - it doesn't have to be that way! Our experience with the Megasus Run'n'Fun shows, the horn quality increases so your horse can go barehoof immediately after removal and if necessary, just glue them on again. THE MEGASUS RUN’N’FUN REVOLUTIONIZES A LONG-STANDING ADHESIVE SOLUTION: THE SAME STRONG HOLD, IN REVOLUTIONARY TIME AND MINIMAL GLUE IS NEEDED. Just a touch of 2-C Mega-GLUE is needed. It turns your Megasus into one of the most economical and easiest glued on hoof protections out there. 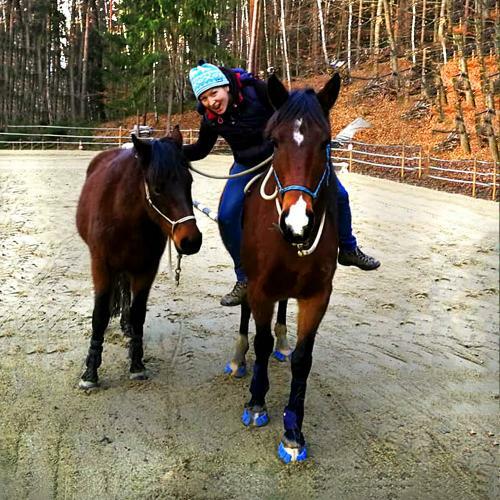 Sometimes we just want to ride headlong on any terrain and have fun- without worrying about the hoof protection. The strong hold of 2-C glue for hoof protection has proven itself for over decades. So far, the gluing process was very tedious and required lots of glue. 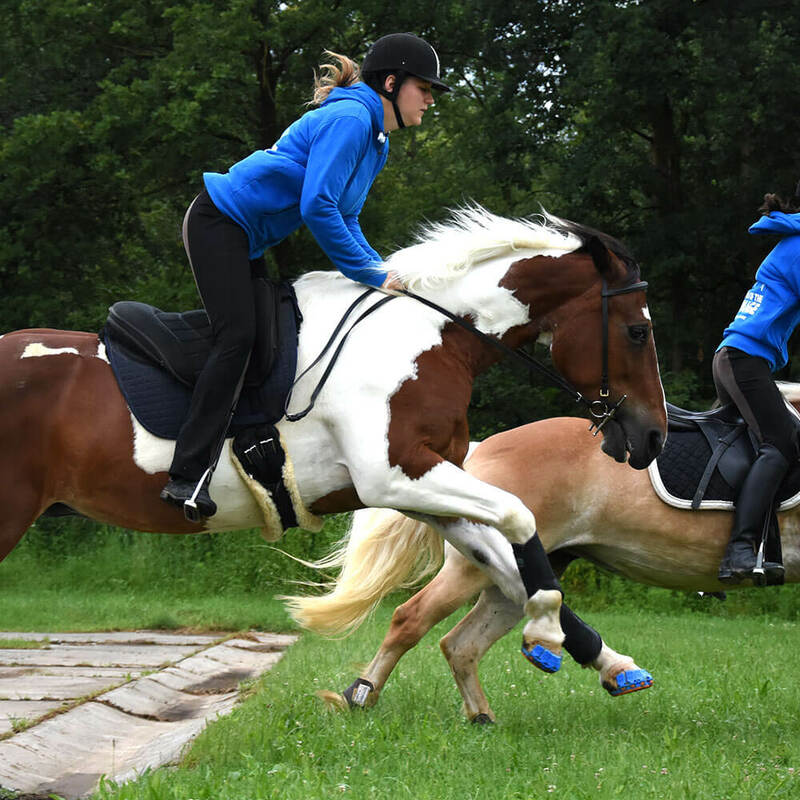 The Mega-GLUE masters these challenges with flying colors and the Megasus Run’n’Fun is our insider tip for sporty and ambitious leisure riders, who also want to go barehoof at times. Gluing and barehoof- ya, it’s possible. GLUEING WAS NEVER SO SIMPLE AND PRECISE: 2-C GLUE IN JUST MINUTES. FILL THE SIDE-CLIPS WITH A TOUCH OF GLUE AND FINISHED- THAT’S ALL IT TAKES! The dream of every glue fan: 2-C glue in just minutes: fill the Side-Clips with the Mega-GLUE - for strong hold and without making a mess. 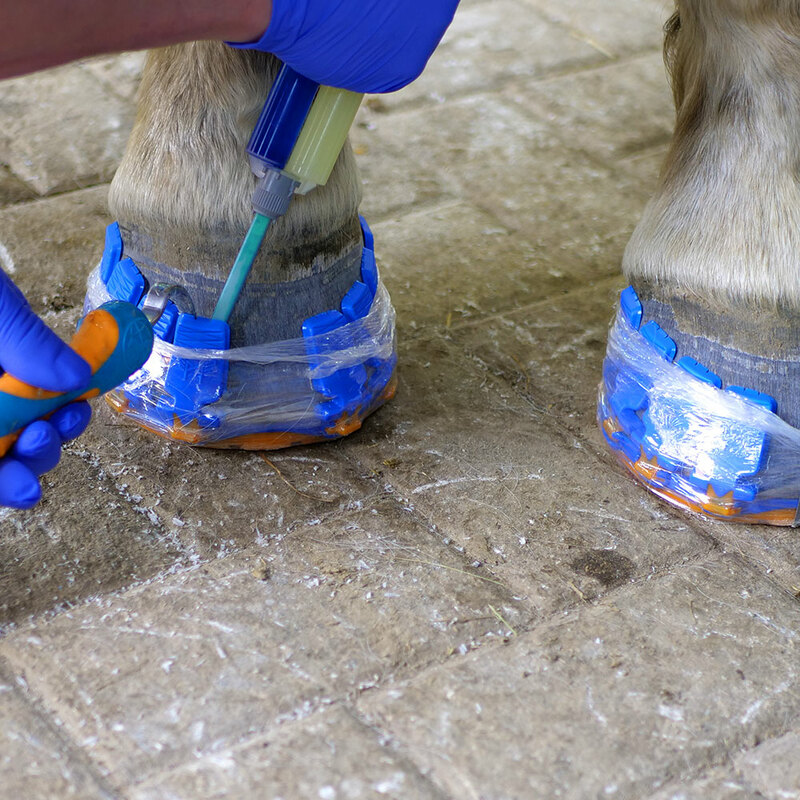 First customize the Megasus Horserunners, adjust the Mega-GLUE Side-Clips to the hooves, wrap the hoof with plastic wrap, and fill each Side-Clip with the Mega-GLUE. Wait about 60 seconds, remove the wrap and now your horse has per-manent protection. Only an average of 25 ml of glue is needed per hoof. This small amount of glue and the selective area of application is much more gentle on the hoof wall. GLUE AND BAREHOOF: IT IS NOW POSSIBLE. THE UNIQUE MEGASUS RUN'N'FUN IS SETTING NEW STANDARDS. EVEN WHEN YOUR HEART BEATS FOR BAREHOOF. 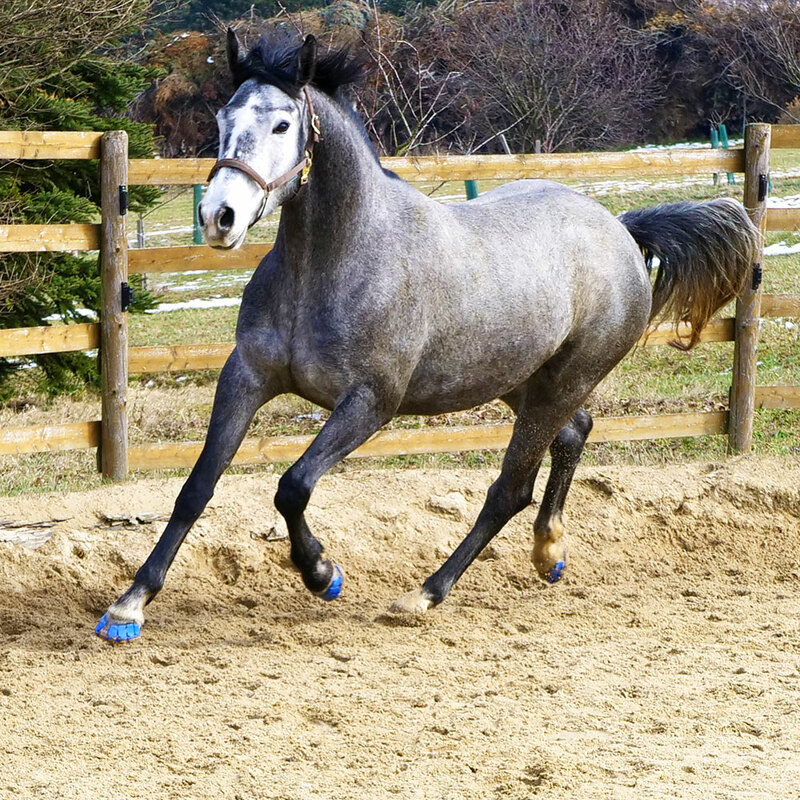 Unique worldwide: Precise and economical, glued only to the hoof wall, the hoof horn can grow strong and health, allowing your horse's hooves to develop beautifully. 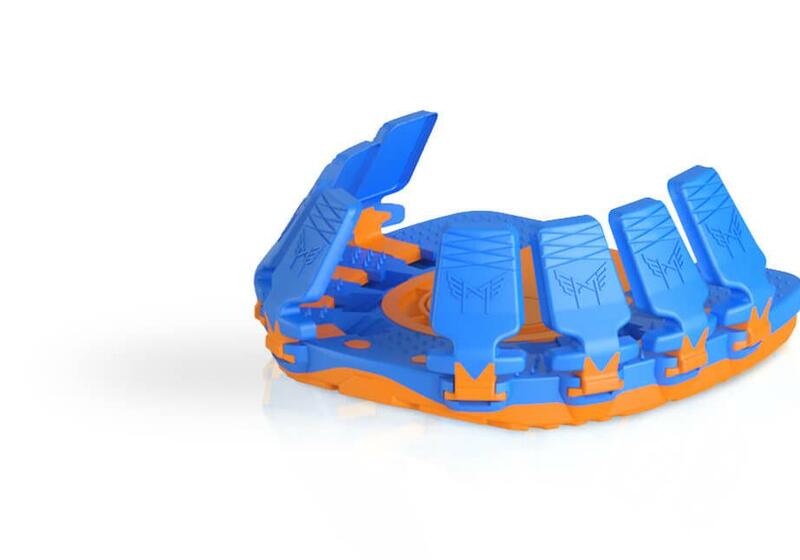 Thus the Megasus Run'n'Fun has proven itself to be the ideal permanent hoof protection for horses low horn quality. Your horse's soles remain free of glue. This is a great advantage for the hoof's health: because with glue-free soles, bacteria, which is known to get trapped between the sole and the glue, has no chance to multiply. Our experience shows: immediately after removing the Megasus Run'n'Fun, your horse is able to walk barehoof and if you need protection, your Horserunners can be re-glued at any time: all you need is new Side-Clips and you already have them handy, because in your set of Megasus, we send enough Side-Clips and 2-C Mega-GLUE for two gluing periods. The soles of the Horserunners remain the same.